After eleven years, five studio albums, and two live recordings, Epica’s sixth studio release The Quantum Enigma is majestic, grandiose, and potentially the best album Epica has released so far. On the surface, the album is nothing new from Epica. It starts, as every previous album has done, with a short instrumental leading into a powerful opening track. 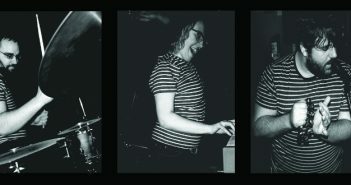 It finishes with a lengthier number, on which the band can truly show off its musical prowess. But if there is one thing Epica can do, it’s making sure their sound is fresh. Each album, from 2003’s The Phantom Agony onwards, has had a sound that is both unique to that album and definitively Epica. The prologue ‘Originem’ segues smoothly into powerful opener ‘The Second Stone’, the majestic choir and orchestra on both tracks setting up a neat contrast to the death metal undertones. The guitar section has evolved from previous album, showing off the skilled riffs and shredding of guitarist Isaac Delahaye and rhythm guitarist Mark Janssen, whose always-impressive growls have matured into a more sinister voice. The balance between death metal, symphonic pomp, and Simone Simons’ beautiful mezzo-soprano vocals has been finely struck on these two opening numbers, immediately capturing the listener’s attention with all the bombast and grandeur the fans have come to expect from Epica. The album does not let up from here. The pace does not really relent until ‘The Fifth Guardian – Interlude’, an instrumental ballad focussed on an oriental sound. This flows neatly into ‘Chemical Insomnia’, one of the standout songs on the album that succinctly demonstrates both Delahaye’s proficiency at guitar riffs, and how the guitars and orchestra can work together to produce a well-rounded sound. The two sections play fiercely off each other, sometimes playing the exact same tune, at other times harmonising with and underpinning each other to make powerful a song that might simply have been the opener of the more forgettable second half of any other album. Nothing so mundane here. The songs following ‘Chemical Insomnia’ are, musically, much more interesting than some of the first few: ‘Reverence – Living in the Heart’ features a too-brief synth-keyboard/guitar duel, while ‘Omen – The Ghoulish Malady’ slows the pace down with a gorgeous piano intro and, where in places it strips away all but the keyboards and drums, more of an emphasis on Simone’s operatic vocals. The album’s only true ballad, ‘Canvas of Life’, follows on: a pleasant clean guitar/keyboard-led number that shows off Simone’s lower vocal range. The purely-acoustic version of this track, found on the digipak release, is just as good as the fully orchestral one, both versions demonstrating the band’s skill at quieter, subtler music. In terms of the Epica canon, I feel it is the best album they’ve ever produced, due mainly to the perfect balance between death- and symphonic-metal the album achieves. Said balance is something they have struggled with throughout their career. The first three albums were much more symphonic, with a very gothic-metal atmosphere to them. With several line-up changes came two ex-members of Dutch death metallers God Dethroned, and with that came a shift in balance towards death metal. This was most pronounced on 2012’s Requiem for the Indifferent, which saw orchestral and choral arrangements stripped down in favour of the guitar section, almost to the point where it felt as if Epica were becoming a female-fronted death metal group with occasional symphonic flourishes in the background. The Quantum Enigma manages to restore the balance between the two styles of metal, and stylistically feels more like a follow-up to Design Your Universe. The orchestral and choral arrangements perfectly complement Simone’s voice, itself given much more opportunity to shine than on Requiem For The Indifferent. This symphonic grandeur is contrasted neatly against skilled death metal guitar playing, both of which emphasise the other more clearly, to give Epica the sound they have arguably been searching for since they began. Lyrically, Epica have always eschewed the more poetic offerings of sister bands Nightwish and Within Temptation. Instead, they have made themselves into a thinking-man’s symphonic metal band, focussing a wide-range of subjects, such as 9/11 and the problems of organised religion, quantum physics, and the Deepwater Horizon oil rig explosion, but mainly on the philosophy of the self. The Quantum Enigma focuses more on the latter, though ‘Unchain Utopia’ gives a good airing to Epica’s political views, despite its title implying it might delve into the more scientific ideas raised on Design Your Universe; here, perhaps, the true “quantum enigma” is that of the self. Given their subject matter, however, some of the actual lyrics would not feel too out of place coming from some of the early-2000s American alt-rock bands. ‘Victims of Contingency’ urges listeners not to blame other people for their own issues, while ‘Sense Without Sanity – The Impervious Code’ highlights how our personal perceptions skew the way we deal with reality. As well as the music supporting them, it is the vocabulary used that raises Epica’s lyrics beyond those American teen-punk-rock bands and into more intellectual territory: how many bands in the latter category would use phrasing like “an aesthetic wonder” or words like “contingency” and get away with it? The lyrics, unfortunately, contain both of my problems with the album. The first is the use of the phrase “this ain’t me” in ‘The Essence of Silence’. That such a colloquial English phrase has been used by a band that not only deals in much loftier terminology, but also doesn’t speak English as a first language, jars against the grandeur of the music behind it. I feel that it could have been replaced with “it’s not me” without too much hardship: “I believe, I perceive it’s not me” fits just as well as “I believe, I perceive this ain’t me” without such a jarring colloquialism. My only other complaint is simply that the lyrics are, by now, nothing particularly new from Epica, though they fit well with the music. The album’s title suggested further examination of quantum physics from that begun on Design Your Universe, while the artwork implied perhaps an exploration of Tibetan philosophy, which would fit in well with the throat singing used in opening prologue ‘Originem’ and the eastern instruments used in interlude ‘The Fifth Guardian’. Beyond these minor gripes, I have no issues with the album, so it’s safe to say that while I find them somewhat disappointing, the lyrics do not really detract from the brilliance of the album. 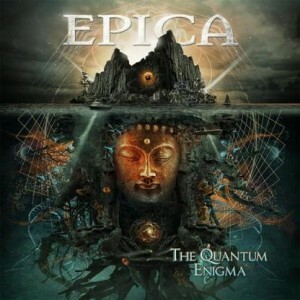 Ultimately, The Quantum Enigma is, to me, the best album Epica have composed, and it will be interesting to see what they if they can best it on the next one. My complaints with them aside, the lyrics fit well with Simone’s beautiful voice and the operatic choir, to complement the music. Musically, it’s certainly the strongest: no longer the somewhat uncertain symphonic goth-metallers of the early 2000s, Epica have stepped away from the over-heavy Requiem, and achieved the perfect blend of symphonic and death metal they seem to have been striving for since the beginning. Nick is talking about music. It's best just to let him.